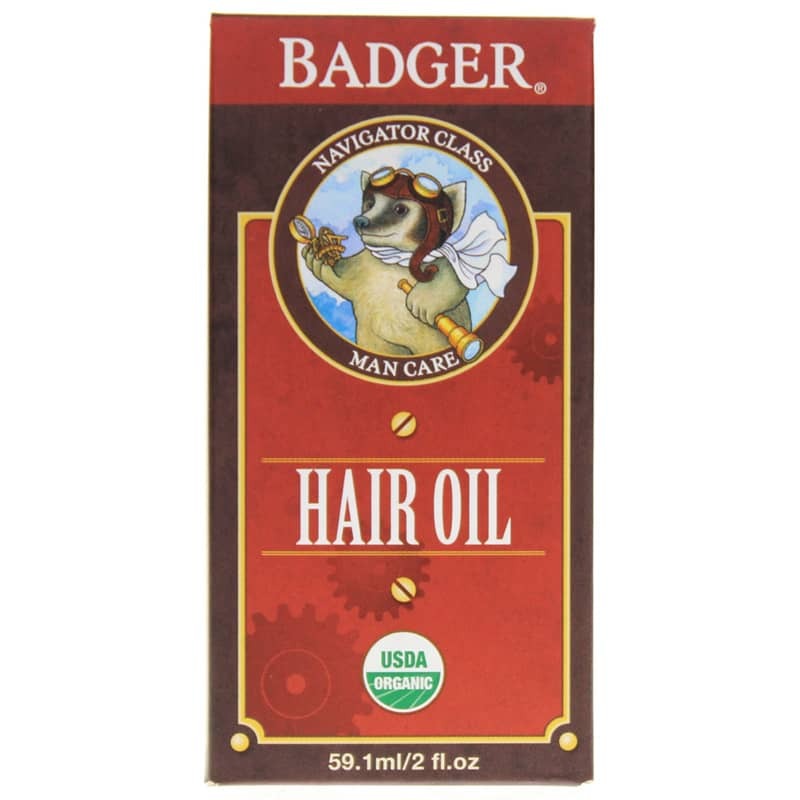 Man Care Hair Oil from Badger's line of Navigator Class Man Care is an all-natural, certified organic, nourishing daily conditioner for dry hair and scalp that supports your hair's shine and manageability. Ships today if you order in the next 15 hours 56 minutes. Badger's Man Care Hair Oil is a daily conditioner that is perfect for hydrating dry hair and scalp as well as supporting hair's manageability and luster. 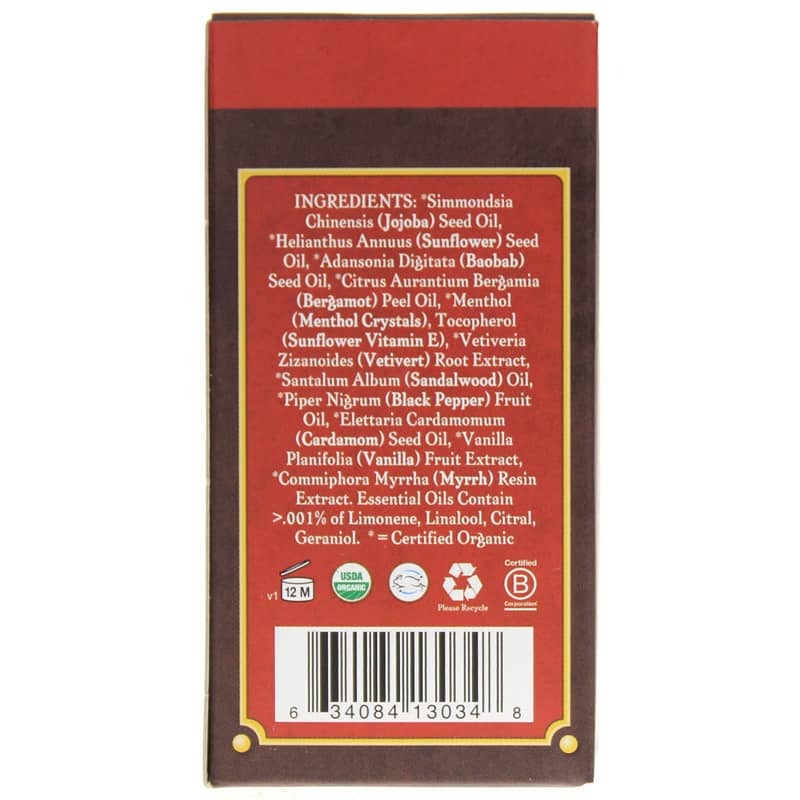 Jojoba, babassu and other natural oils provide a rich blend of vitamins A, D, E and F as well as essential fatty acids to nourish and deeply moisturize hair, protecting it against the elements. Joba jobreaches all the way to the roots where it's most beneficial, providing deep hydration and balance. Meanwhile, babassu oil helps maintain luster and elasticity for shiny, manageable hair that looks healthy. And to finish it off, refreshing menthol cools and energizes the scalp. 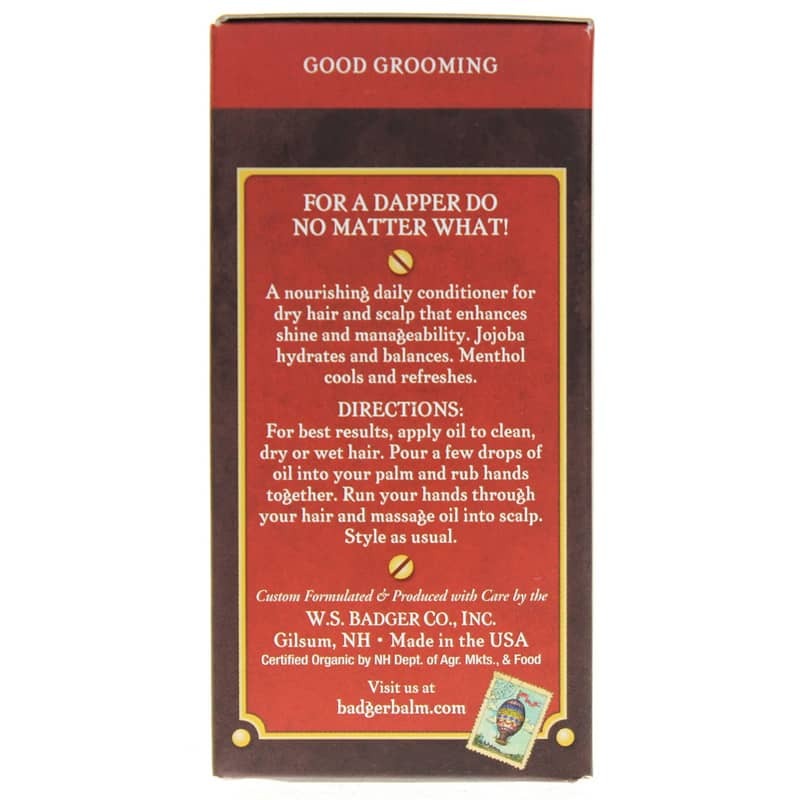 Use on clean hair that's wet or dry to take your look to the next level.. Order Badger's Man Care Hair Oil today. For best results, apply oil to clean, dry or wet hair. Pour a few drops of oil into your palm and rub hands together. Run your hands through your hair and massage oil into scalp. Style as usual.